We know milk is what is found in every house across the world. But if you think that meal times are important enough, you need to know how important a glass of milk may be to you. We normally underestimate the power of milk and think that it may not be needed and rely upon other sources of calcium in the body. However, it is noteworthy to mention that the composition of milk and the other milk related dairy products is completely different. So to assume that a bowl of curd has given you the same nutritional value of milk is totally wrong. We tell you why Milk in its true form is the essence in a meal. Milk is considered to be a glass of complete nutrition due upon the rich reserves that it has. Apart from this, milk is the base source of many dairy products and therefore, hugely consumed throughout the world. Cheese, curd, yoghurt, butter, clarified butter and buttermilk are best consumed fresh and have rich nutrition if consumed fresh. 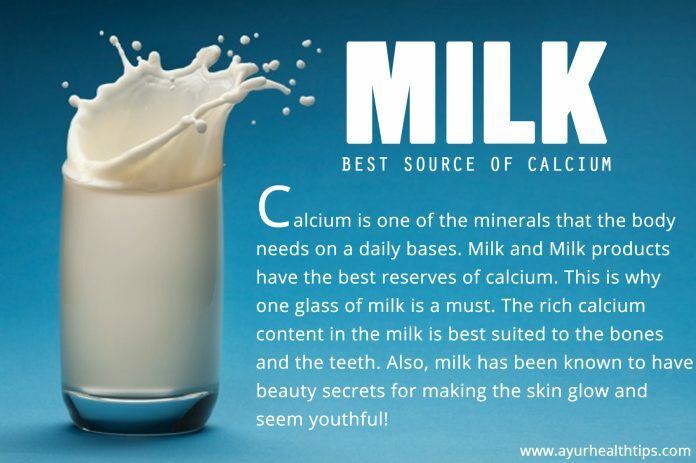 Ways in which you can benefit from the Milk Calcium!